As most of the nation approaches a cold winter season you may notice your car beginning to give you a different “attitude” than you’re used to. Unless you live in sunny Florida, or a majority of the far southernmost states, you will more likely than not see a difference in your car’s tire pressure through the course of the winter. For a majority of experienced drivers this may not be a new issue. If you have ever experienced winter in northern states with massive changes in seasons, such as New Jersey and New York, you maybe have had this happen to you. Those that have just relocated to an area with changing seasons from a state whose winter never dropped below 30 degrees you may find this to be a bit of an annoyance. This is the most minimal annoyance during the winter, as you will soon find out, since driving in snow on its own is another monster to tackle. Why Would My Tire Lose Pressure in the Winter? Though it may seem like an issue that would have been able to be course corrected over the many years’ cars have been on the road, there is still an issue of tires losing tire pressure in the winter. When the air’s temperature drops the air molecules inside your tire slow down and contract. This contraction of molecules release pressure from the constant collision of heated molecules against the tire’s walls and allows for less strain to be put on the tire itself. This is why tire pressure depletes during the winter, without the constant collision of heated molecules there is a significant drop in volume that the existing air takes up. It’s estimated that tire pressure will drop 1-2 PSI per 10 degree lost in temperature, this drop could possibly trigger your tire pressure warning light, but depending on the amount dropped a day it could fly under the radar. Mechanics recommend having all the tire caps put onto the valves to yield the highest retention of air in your tires. So, How Do I Know When My Tires Needs More Air? Most drivers with cars manufactured in the last few years may have dashboards capable of displaying a real-time measurement of your tire’s pressure. A majority of these same cars will provide you with an on-dash warning when the sensors are tripped, and the tire pressure drops below a certain PSI. These sensors may cause some to panic in the moment as the onboard warning is usually loud and displays a prominent icon that may be foreign to most. Included Introductory Service Maintenance on All Protection Plans. Start Saving Today! 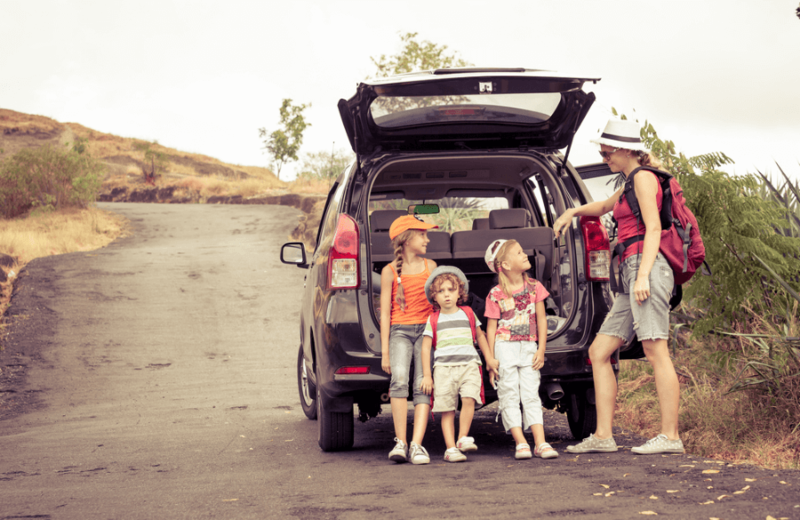 For those with an older car, you may not have the luxury of having all the bells-and-whistles letting you know that your pressure is depleting in your tires. So, other than grabbing a tire gauge and checking the pressure daily the most common way to tell without having to check all the time is by the noise your tires make when you go around a corner. When you have lower tire pressure and you turn a corner your tires tend to make a squealing or squeaking sound. This sound is comparable to the sound you may have heard if you have ever slammed on the breaks and heard tires screech behind you. Essentially the same concept that is happening when you hear that screeching noise is happening when taking a turn on tires with low pressure. Since the pressure of the tires is lower, there is more of a drag happening on the tires and the friction is rubbing the tire against the asphalt. This could cause quick balding of tires ruining the treads and lining. Lower air pressure in tires means a diminished fuel economy in your car. There’s no reason to become paranoid over this information and assume every day you drive your car in cold weather your tires are heavily deflating. No, your tire isn’t going to explode on you while you’re driving in the snow. No, your tire is not going to develop a massive hole overnight. Car Tire Pressure depleting is your tire is an extremely common occurrence and has been happening for a multitude of years. Tire companies are aware of this and have put this into consideration when developing tires. For most, this will be just a small annoyance, requiring you to take a few minutes out of your day to refill the air in your tire at the local gas station. Can I Buy Anything to Prepare for This? Like anything, if you are willing to pay money there will be a solution that allows for convenience over those who don’t. For most drivers these would just be considered “luxury” items that will allow for less hassle. It’s up to your discretion when considering purchasing these items as to if the price justifies the convenience. The best thing you can buy to prepare for this is a Winter Emergency Car Kit. Depending on your car’s make, model and tire size there may be options to get winter tires. Winter tires are constructed solely to be used during the winter, or in colder environments. These tires are composed of materials, and compounds, that make the tire work optimally in 45 degrees or lower weather. The downside to purchasing and installing these tires when living in an area where seasons change is the decreased performance when the weather changes even if you haven’t used the tires to the full extent. 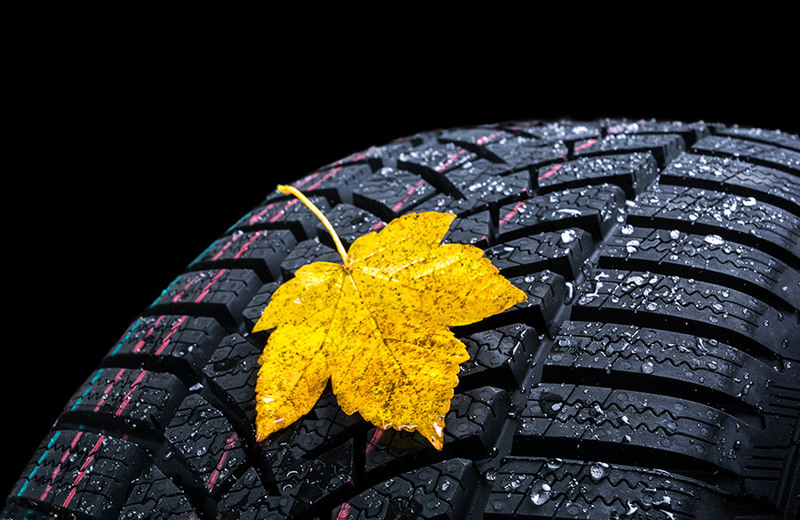 When choosing your all-season tires there are some manufacturers that will develop the tires with more treading or a defined amount of hardness that will prefer hotter or colder weathers. This allows you to get a tire with stronger performance for colder climates or a tire rated higher for warmer climates, but still be optimized for most. When it comes to driving in the winter you never know what may happen to your vehicle. DriveSmart is here to provide assistance in any weather, at any time. Whether it be a breakdown in a snowstorm, or changing a tire after a flat, our included roadside assistance will be able to provide you with the best immediate service to get you back on the road in no time at all.